The Pacific Grove neighborhood of Asilomar/Grove Acre/Crocker is bordered by Sunset and Asilomar State Beach to the west, Lighthouse Avenue and 17 Mile Drive to the east, Ocean View Boulevard to the north and Sunset Drive to the south. Homes in Asilomar are in closest proximity to the ocean, while Crocker Avenue and Grove Acre Avenue are main streets to the east, yet are only 1 mile from the beach at the most inward location. This coveted coastal neighborhood is home to Asilomar State Beach, a one mile stretch of beautiful white sand beaches, rocky coves and dramatic surf. Within the boundaries of Asilomar Marine Reserve, marine life and plants here are protected. There is a wooden boardwalk where you can walk through the bluffs, enjoy the scenery and visit the Asilomar Conference Grounds, celebrated as Monterey Peninsula’s “Refuge by the Sea”. Once a women’s summer camp, this 107 acre property has been owned and operated by State Parks since 1956. Guests visiting Asilomar can seek accommodations in its quaint cottages or rustic lodges and be immersed in peace, tranquility and the beauty of their surroundings. Noted architect, Julia Morgan who is known for her work on Heart Castle, designed the Arts & Crafts style buildings at Asilomar. With a perfect balance of natural wood, stone and open space and light, her designs capture the soulful beauty of this coastal region in elegant simplicity of design, excellence in craftsmanship and a return to the restorative quality of nature. The neighborhood is also home to the Monarch Grove Sanctuary. Each October the monarch butterflies with their delicate wings of saturated orange and black flock to the sanctuary and seek shelter in the canopies of the eucalyptus and pine trees in the grove, and protection from the winter cold and winds. Clustered in the trees you can witness this rare spectacle and witness their return to flight every year. The park is located off Lighthouse Avenue and open from sunrise to sundown, though best viewing times are from noon to 3pm when there is mid-day sun. The yearly migration of these beloved guests is a symbol of the perseverance of nature, and a return to a special and welcoming hometown which why Pacific Grove is often referred to as Butterfly Town, U.S.A.
Another spectacular feature of this particular Pacific Grove neighborhood is the start of the Monterey Bay Coastal Trail. This 18 mile stretch of paved pathway stretches from Pacific Grove to the south to Castroville in the north. The trail is perfect for cyclists, walkers and joggers as it meanders along the waterfront, Cannery Row, downtown Monterey offering amazing sight-seeing while you spend time with family and friends enjoying invigorating exercise and fresh air. During the sardine era in Cannery Row the trail was once used by the Southern Pacific Railroad. The abandoned railroad lines were transformed into a prime recreation trail that residents and tourists from all over the world get the chance to experience. Other notable landmarks of the neighborhood include El Carmelo Cemetary which dates back to the 1800’s and Point Pinos Lighthouse which is the oldest operating lighthouse on the West Coast. The lighthouse was built in 1855 and is one of the six lighthouses for which Congress appropriated funds shortly after out statehood was ratified. The lighthouse is open to visitors Thursday-Monday and special events are held there on occasion by costumed docents who keep the history and stories of the lighthouse alive. Golfers will love their close backyard proximity to the Pacific Grove Municipal Golf Links. This 18-hole golf course is truly a remarkable value as it is an exceptional course with stunning views that rival Pebble Beach golf courses, all at a very affordable price. The course overlooks Point Pinos with whitewater views and the back nine is adjacent to 17 Mile Drive and its breathtaking views. After a game of golf you can relax at the Point Pinos Grill for great food, drinks and views. Click to view all homes for sale in the Pacific Grove neighborhood of Asilomar/Grove Acre/Crocker. 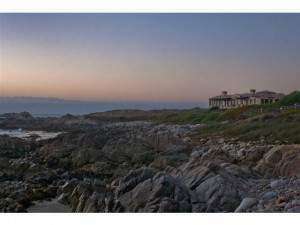 For all available Pacific Grove real estate, view Pacific Grove homes for sale. In 2018, 8 homes sold in this neighborhood. The most expensive home to sell sold for 5.75 million for a 3 bedroom, 3.5 bathroom, architectural masterpiece with 4,943 SqFt of living space on a 1+ acre lot with 180 degree views of the dunes and Ocean. The least expensive home to sell, sold for 760K for a 3 bedroom, 1.5, 1,112 SqFt home on a 10,019 SqFt lot. In 2017 16 homes sold in this neighborhood. The most expensive home to sell, sold for 1.949 million for a 8 bedroom, 5 bathroom home with 3,416 SqFt of living space on 1.36 acres, originally built in 1920 and features Ocean views. The least expensive to sell sold for 797K for a 3 bedroom, 1.5 bathroom, mid-century, ranch style home with 1,355 SqFt of living space on a 13,200 SqFt lot. In 2016 16 homes sold in this neighborhood. The most expensive home to sell was a 4 bedroom, 3 bathroom, contemporary home with spectacular Ocean views and sold for 3.2 million. The least expensive home sold for 650K for .3 acre lot that offers 2 homes both 2 bedrooms and 1 bathroom. 15 homes sold in this neighborhood in 2015. The most expensive home sold for 1.7 million and was a 4 bedroom, 3 bathroom remodeled home plus guest house. The least expensive home sold for 495K for a 2 bedroom, 1 bathroom, Grove Colony bungalow. 9 homes sold in this neighborhood in 2014. The most expensive home was a 4,000 SqFt home located on an acre of beach front property with 4 bedrooms, 5 bathrooms and 4,000 SqFt of living space which sold for 8.65 million. The least expensive was a 660 SqFt home, with 1 bedroom, 1 bathroom on a 12,000 SqFt lot which sold for 565,565. In 2013, 13 homes sold in this neighborhood. The most expensive home sold for 3.15 million and was a 3,400 SqFt home on 21,700 SqFt of land, while the least expensive was a 1,450 SqFt home on 13,500 SqFt of land, which sold for 575K. 10 homes sold in this neighborhood in 2012. The most expensive home sold for 1.499 million. This 5 bedroom, 3 bathroom home was situated on the dunes with Ocean views on a 21,400 SqFt lot and had over 2600 SqFt of living space. The least expensive home in the neighborhood sold for 525K with living space of 1,240 SqFt, 3 bedroom, 2 bathroom on a 10,300 SqFt lot. For a detailed analysis of Pacific Grove real estate, check out our monthly Community Market Reports. To live in the Asilomar/Grove Acre/Crocker neighborhood is to live in an exceptional Pacific Grove neighborhood. You have oceanfront living on a beautiful stretch of coastline and all homeowners enjoy their close proximity to the beaches, recreational trails and opportunities to live in tune with nature and the beauty of their surroundings. Pacific Grove is cherished for its small town feel, which you can experience with a stroll down Lighthouse Avenue. Small family owned shops and quaint restaurants dot the streets and the historic charm of the building and architecture reminds one of another era where times were simpler and peaceful. Pacific Grove maintains this quiet hometown feel while being in proximity to the best of the Monterey Peninsula. From water sports to cycling to theatre and fine dining you are just a short drive away from Carmel, Pebble Beach and Monterey. There is an abundance of things to do and see and you will enjoy mornings waking up to the clean ocean air with a world of experiences and opportunities to explore at your doorstep. There are so many ways to enjoy and truly live life in this unique and scenic neighborhood in Pacific Grove.